Each year, millions of people receive their property tax bill but how many of them actually understand how it is calculated and what it encompasses? To be certain that your tax bill is accurate, it is important to know exactly how property values are determined and how the taxes on your property is calculated. Property tax revenue is a major source of income for both the state and the federal governments. Each tax jurisdiction (this may consist of a school district, municipality, county, or special district) must make a determination by dividing the tax levy by the total taxable assessed value of all property in the jurisdiction. Thus, property taxes and tax rates will vary. Most of the time, taxes come in the form of a percentage. Services that are normally funded through your property taxes include transportation, emergency services, education, parks and libraries, as well as various recreational activities. Your local county assessor’s office can tell you the exact property levy in your area. 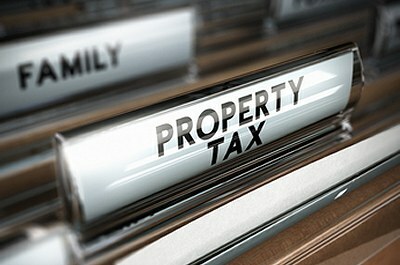 Remember that voter approved additions to the property tax may raise the rate in some counties. To calculate your own property tax use the exact purchase price of your home. It is important to know that any change in ownership will trigger an adjustment in property tax for that property based on the fair market value at the time, although changes in title between family members may have no effect if money did not change hands. Multiply your home’s purchase price by your county’s property tax rate. In general, in Riverside County California, the assessed value of your home is the market value at the time of purchase. This value increases no more than 2% per year until the property is sold, at which time it will be reassessed for current value. So, if the property purchase price is $400,000 and the county tax rate is 1.00%, you multiply those figures for an annual tax bill of $4,000. In Riverside County annual tax bills go out on November 1 and supplemental tax bills may be mailed throughout the year. After the Assessor determines the value of the property the Auditor-Controller will apply the appropriate tax rate which will include the general levy, any local voted special taxes and any city or direct assessments. The general levy is dictated by state law and is limited to $1 for each $100 of assessed value but the local voted special taxes or direct assessments will vary county to county. So there you have the formula and perhaps understand a bit more of how property taxes are determined and calculated but be sure to read your tax bill carefully and if you don’t understand it, ask questions! Your county Tax Assessor’s office is there to help.